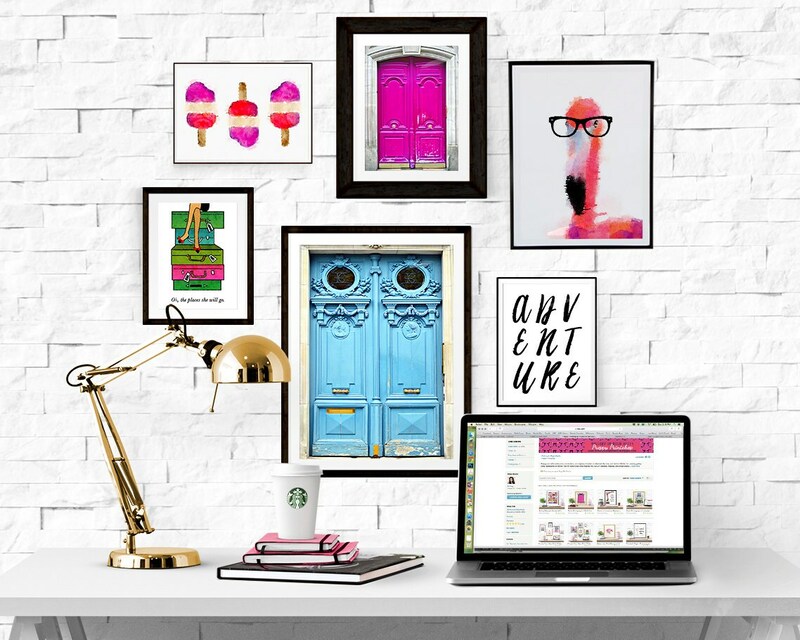 Take the guess work out of creating a fabulous gallery wall with this gallery wall print collection. This collection includes one 16 X 20 inch print, one 11 X 14 inch print, two 8 X 10 inch prints, and two 5 X 7 inch prints, for a total of six prints. You can select any print or photograph currently available in the Preppy Printshop. Simply list the print you would like for each size in the collection in the note to seller box when you check our (you can choose vertical or horizontal prints). If you would like any color customization, please message me prior to purchasing to ensure the changes you would like are possible. Printed on archival quality, acid free, and heavy weight matte photo paper. PLEASE ORDER BY DECEMBER 12th TO ENSURE DELIVERY IN TIME FOR CHRISTMAS. Please allow 4-6 business days for production, and an additional 4-6 business days for shipping. Prints larger than 16X20 inches require a longer production time. Expedited shipping is available upon request and for an additional cost. Please note that expedited shipping does not include production time. International shipping is only available to the countries listed. Please note - If you do not receive your purchased item within 2 weeks of the date shipped it is your responsibility to contact us. Because you are purchasing a made-to-order item, there are no refunds or returns. If an item is damaged during shipping, a replacement item will be provided. Please note my prints are original illustrations or digital reproductions of original art. All prints are printed on Kodak Endura professional matte photo paper. Even though this is archival-quality matte photo paper, it is still photo paper and the finish does retain some gloss. If you would like your print printed on a heavier stock or different type of paper, please message me prior to purchasing. Purchased prints may not be resold for a profit without permission. They may be used for charity auctions on a case by case basis. Please contact me if you would like to use them for this purpose. Purchased files may not be used to create products meant for digital or physical sale under any circumstances. Images may not be used in any website, banner, blog, logo, etc.